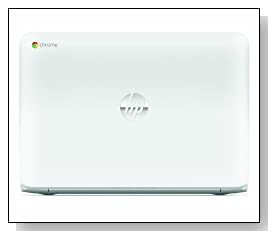 HP Chromebook 14-q070nr is fast, looks good and has a great feel to it.. It has a larger screen than most other Chromebooks and works differently to traditional PC laptops like other Chromebooks. It is designed for a wonderful internet experience, not so much for the usual PC apps and programs, although you can still use them. Everything runs smoothly, the machine starts up or wakes up from hibernation very fast thanks to its Intel Celeron 2955U 8032 at 1.4 GHz speed (2 MB Cache) processor, 4 GB DDR3L SDRAM and 16 GB Solid-State Drive.. It doesn't come with a standard SATA hard drive but a 16GB SSD and 2 yrs free 100 GB Cloud based Google Drive that you can send all your files to, so you don't save your files on your laptop and can access them wherever there is an internet connection. If you want to access any of your files offline, you can always save them on the built-in SSD. It comes with the built-in 4G, free for 2 years mobile internet service up to 200MB of 4G data per month (without the overage fees). Operating system is the Google's Chrome that is updated constantly in the background whether the system is on or off. 14 inch diagonal BrightView LED backlit HD display at 1366x768 pixel resolution with Intel HD Graphics means amazing image quality at such low Chromebook price. As the stylish HP Chromebook is built without the large drives, it is extremely light and slim, 0.81 inch thick and weighing only 4.1 lbs. But it still has a full island-style keyboard that will help you work comfortably. Its Lithium Ion battery gives you up to 8 hours and 30 minutes of battery life, as the HP Chromebook is Energy Star qualified and meets strict energy-efficiency. 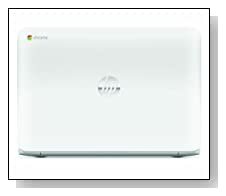 Its connectivity options include 802.11a/b/g/n WLAN wireless, Bluetooth, 1 x USB 2.0 port, 2 x USB 3.0 ports, and an HP TrueVision HD Webcam. Conclusion: HP Chromebook 14-q070nr is the perfect mobile computing device made for internet based tasks. It won't run your common Microsoft Excel, Word or Photoshop but you will be able to open and edit the files created in these programs thanks to Google apps or other cloud based Microsoft apps. You can save everything on Google Drive and automatic back-up function makes sure all your files and data are safe. HP Chromebook works differently to the traditional laptops with a different operating system that is much easier to get used to than Windows 8. This is a machine designed for a smooth and trouble-free web experience in mind and highly recommended at the current Amazon price.